Loved this pic posted by Scott Hodge. 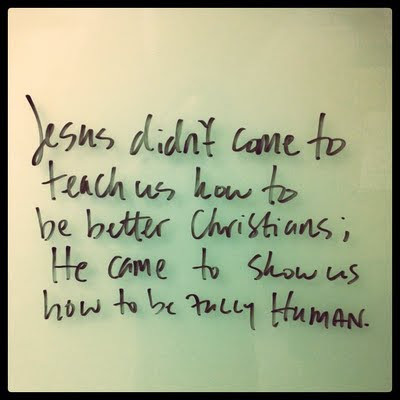 When we talk about our humanity as Christians we tend to think of it as something to be destroyed. I think I prefer to see it as something to be redeemed. Since the fall of Adam humanity as it was, like the whole of creation, has almost been unrecognisable. 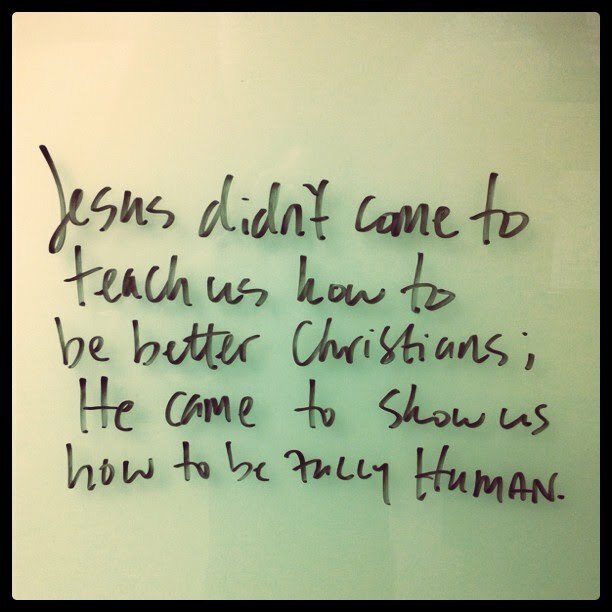 But then came Jesus, fully God yet fully man. A human the like the world had not seen since creation. The second Adam. Here to restore our humanity as he intended it.